Small document reading and imaging. Scans Checks, IDs or read Band Cards. Issue your secure EMV Cards with speed and efficiency. Supplier of	EMV Card Readers (MSR), Cheque Scanners, Instant Issuance & OEM Components. Leading secure enterprise-level technology for your business. We provide secure enterprise-level technology solutions for the Payments, Banking and OEM Industries. 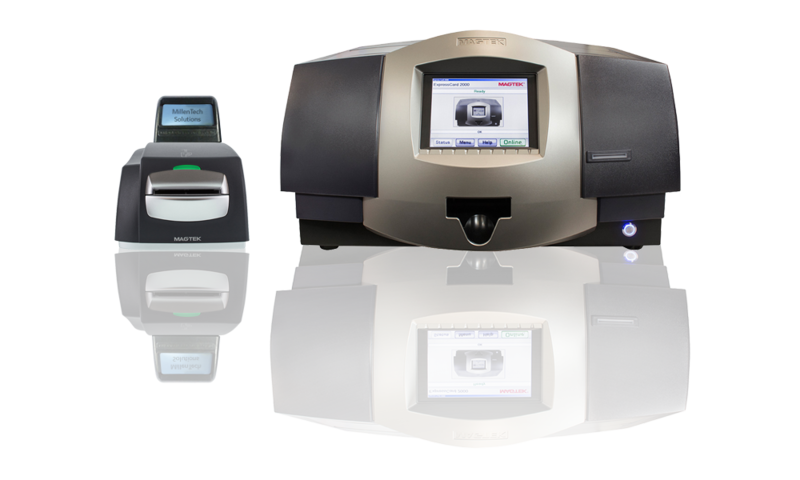 If you need any EMV Card Readers (MSR), Cheque Scanners, Instant Issuance or OEM Products view our products or contact us. For forty years MagTek Inc. has been a world's leading manufacturer and provider of products designed for reliable issuance, reading, transmission of security cards, cheques, PINs and other credentials. So whether it's security and protection you require, or feature flexibility and component durability, MagTek products deliver the choice you need with the reliability you know you can trust. Regional factory support in office for over 25 years. MagTek designs security-centric hardware for POS software platforms, payment gateways and processors. MagTek uses encryption, tokenisation and real-time authentication technology to validate online identification, payment processing and other electronic transactions. In New Zealand primary support is provided to major payment gateways and enterprise level solution providers. MagTek manufactures a diverse range of highly secure card reading components, modules and systems for integration with ATMs, kiosks, fuel industry providers, access control systems and point-of-sale terminals. If our standard product line is unable to meet your project design requirements, MagTek NZ will work with you to develop a custom hardware solution that does.